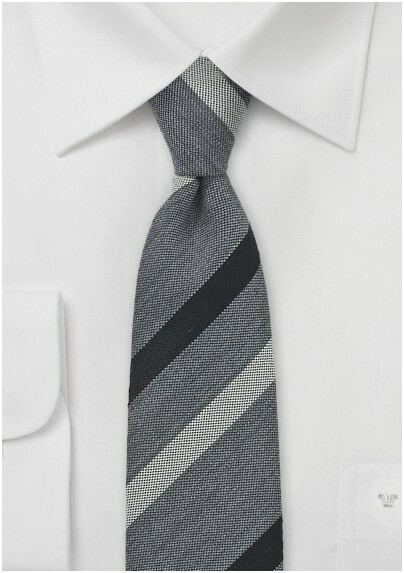 It's time to upgrade your wardrobe and this skinny tie by designer BlackBird will be the perfect start! Everything about this tie is "unconventional". 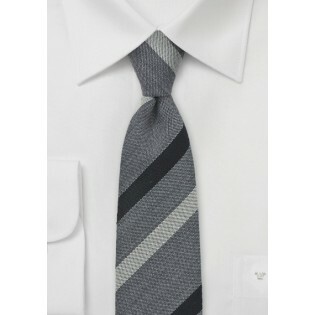 From the slim cut, the retro stripes, within to the fabric, this tie will stand out from all your other neckties. Designer BlackBird made this tie from a worsted wool giving the tie a more coarse and rugged look. It is the perfect choice for the Fall and Winter season, especially when paired with tweed sports coat, or dark charcoal 3-piece suit.